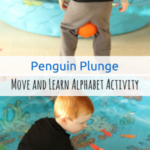 This alphabet game is a fun and active way to learn letters this winter! 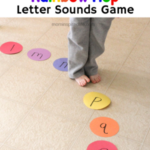 Throw pretend snowballs at letters while learning letter sounds. 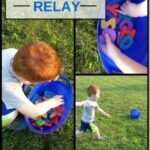 Your kids will enjoy this play-based literacy activity! Evan loves sports and any game that gives him the opportunity throw or kick a ball at something is a win! This game is a great way to bring winter fun indoors so you don’t have to get bundled up and face the cold temperatures outside. Plus, it gives your kids a chance to burn off their energy when stuck inside. 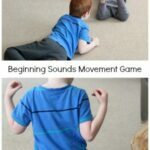 It reinforces letter recognition and letter sounds while also developing gross motor skills like coordination. It is so simple and easy to set up too! 1. Cut each piece of paper into 4 equal pieces. I ended up with 12 pieces. 2. Write one letter on each piece of paper. 3. Tape each piece of paper to a wall. Once I had all the letter papers taped to the wall, I explained the game to Evan. I told him that he was going to throw snowballs at the letters – pretend snowballs! He needed to hold on to a snowball and wait for me to call out a letter. Then he would tell me what sound that letter makes. Afterward, he would locate the letter on the wall and throw the snowball at it. 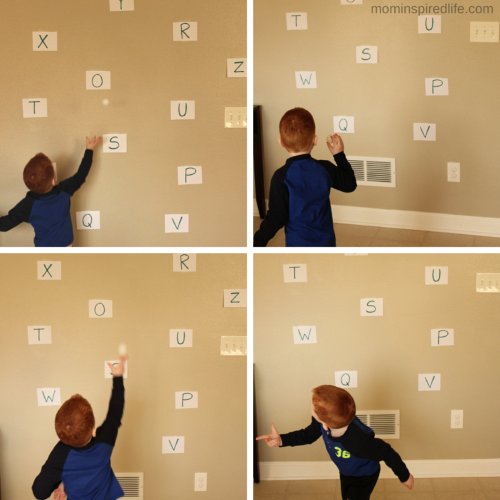 If your child doesn’t know the letter sounds yet, you can just call out a letter and they can throw a snowball at it once they find it on the wall. 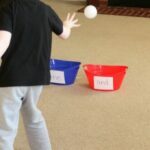 For a faster paced game, you can call out a letter sound and your child will throw a snowball at the corresponding letter. This was tons of fun! We did all of the game variations above and Evan enjoyed them all. 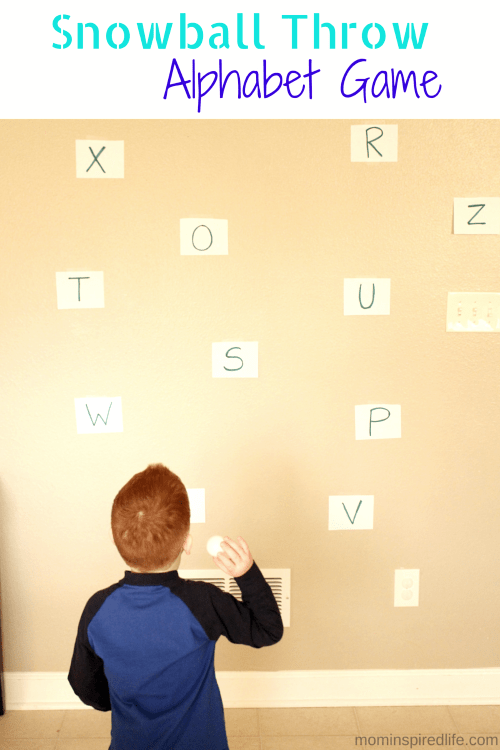 Some of the letters were high up on the wall, so he had the extra challenge of trying to hit those letters with the ping pong ball. It was great for developing his coordination. He was so excited about the game! He would run and then throw, throw the balls backwards and eventually he even threw the ball while doing a karate kick. Haha! If you have a boy, you can probably relate? This is a game we plan to play again and again this winter. I am thinking of tons of other variations too. 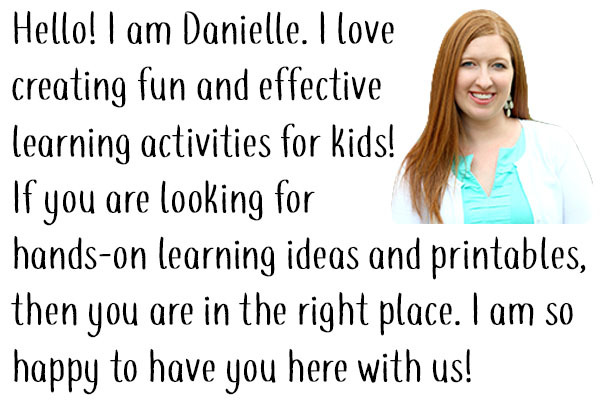 For more fun winter activities for young kids, check out my Winter Pinterest board! 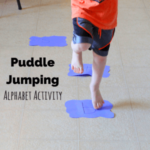 Here are some more alphabet activities for kids!